Yuri Cunza is a Hispanic-American media professional, business leader and community advocate. Cunza currently serves as President and CEO of the Nashville Area Hispanic Chamber of Commerce, and is the founder and editor-in-chief of the Spanish language newspaper La Noticia (Hispanic Paper Publishing). He is owner and founder of Y&K, a strategic media solutions, support & consulting services company based in Nashville, Tennessee. Yuri Cunza is co-founder of The NAHCC Foundation which was founded in 2008 and exists to advance educational opportunities for Hispanic youth and to inspire children interest in future discoveries and technologies to combat issues that force families and individuals into economic despair. Cunza is a supporter and advocate of humanitarian causes, including HIV/AIDS, immigration, and finding a resolution for the socio-economic disparities of minority populations in the U.S. Yuri is a member of the Tennessee Advisory Committee for the U.S. Global Leadership Coalition. Yuri Cunza was elected last July 2010 as Council Member at Large to the regional branch of the Screen Actors Guild (now SAG-AFTRA) located in Nashville, Tennessee. He serves on the boards of Nashville Film Festival, Film-Com, Historic Nashville Inc., Sister Cities of Nashville and community- based HIV/AIDS service organization Nashville Cares. Yuri Cunza is a member of the Rotary Club of Nashville, the oldest and most influential civic club in Nashville founded in 1913, the Society of Professional Journalists and the National Association of Hispanic Journalists. Cunza is the creator of the socio-politically themed cartoon character of Juan Ese (Juan.S) first appearing in the August 2005 issue of La Noticia Newspaper. As a guest speaker for a various groups, Cunza has appeared before corporate, institutional, educational and government audiences including, the U.S Attorney's Office, The United States Hispanic Chamber of Commerce, Metro Nashville Police Department Academy, FBI, Nashville Fire Department, Nashville Mayor's office and Nashville Metro Public Schools (NMPS), Meeting Planners International, Walmart/SAM's Club, McNeelly Piggot and Fox, the Association of Public Accountants, Jefferson Street Missionary Baptist Church, The Urban League, Kiwanis Club, IMF's MLK Annual Celebration, NAACP, The University of Memphis, Boy Scouts Club, Tennessee State University (TSU), Middle Tennessee State University (MTSU), Vanderbilt University among others. A Nashville resident for now 17 years, Yuri Cunza became a U.S Citizen on September 22, 2006 at a citizenship ceremony presided by United States federal judge Todd Campbell at The Hermitage, home of former U.S President Andrew Jackson. In March 2010, 2011,2012 and 2013, Cunza was named in Nashville Post's "In Charge" list of business and community leaders who are writing Music City 's success story. Yuri Cunza holds a B.F.A in Film Directing from Watkins College of Art and has attended Executive Education Certificate Programs at Mendoza College of Business at University of Notre Dame through through the Non Profit Executive Programs offered by the University of Notre Dame in partnership with the USHCC Foundation. Since 2009, Yuri serves as President & CEO of the Nashville Area Hispanic Chamber of Commerce (NAHCC), Middle Tennesse's, most recognized Hispanic business association. Founded in January 27th 2000, the NAHCC represents businesses, entrepreneurs, professionals and organizations with interest in Nashville's booming Hispanic market. Under his leadership the organization started exploring forming chapters in Murfreesboro, Franklin and Clarksville. 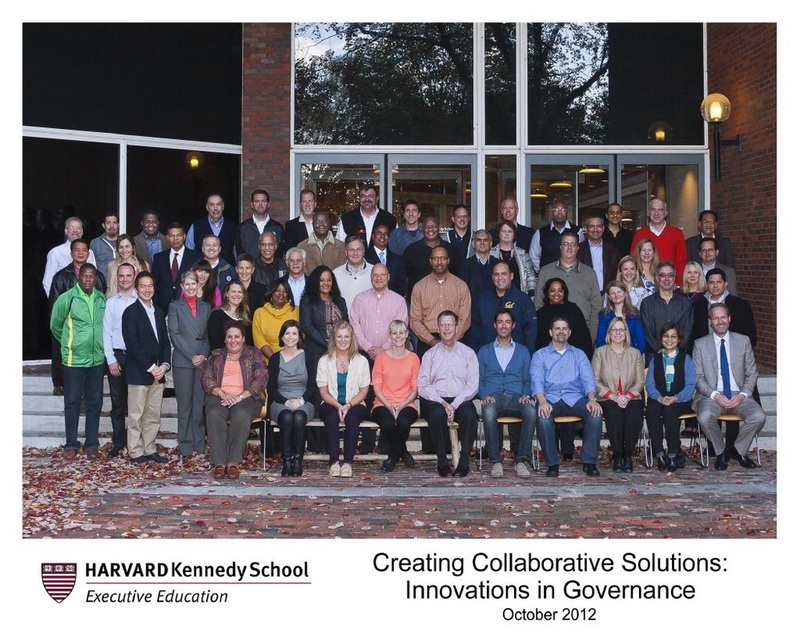 In 2012, Yuri Cunza graduated from Harvard University's Kennedy School of Government Executive Education Program on Creating Collaborative Solutions, focusing on Innovations in Governance, Principled Negotiation, Adaptive Leadership, Executive Core Qualification, and Public Sector Innovation. In 2013, The Tennessee Titans selected Yuri Cunza as the recipient of the annual NFL Hispanic Heritage Leadership Award. The Titans honored Cunza on September 22 at their Hispanic Heritage game when they hosted the San Diego Chargers at LP Field. This date is especially significant for Cunza as it falls on the seventh anniversary of the day he officially became a U.S. citizen in a ceremony at The Hermitage, home of former President Andrew Jackson, in Nashville.